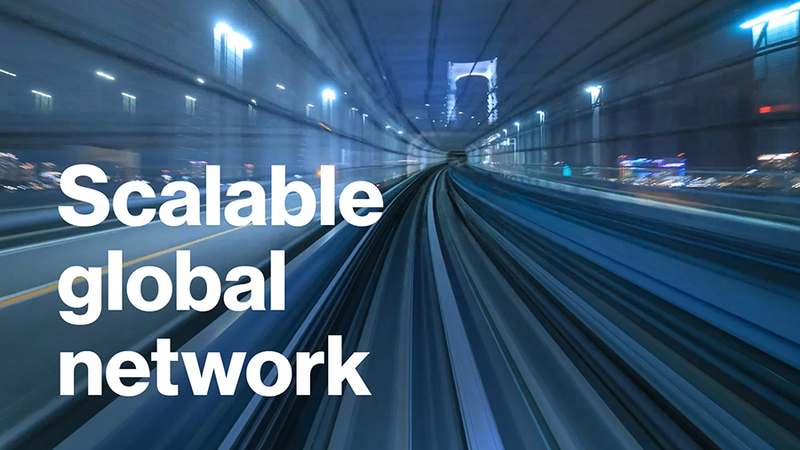 Global growth begins with a global network. Discover it at NAB 2019. The internet is expanding rapidly; global consumption of digital media is growing at unprecedented rates. In 2018, four billion internet users spanned every region of the world – half the globe’s population. At this rate, internet growth will outpace population growth. And the one dominant driver behind it all? Video. Consumer demand for video is exploding. In 2021, 82 percent of all internet traffic will be video. As video continually drives internet growth, it’s important to find a video delivery network partner that can help you outpace internet video demand. 12- to 18-month evolution cycles: By incorporating new technologies and address emerging challenges every 12 to 18 months, we always remain ahead of viewer demand. Patented proprietary caching algorithm: When combined with centralized architecture and 130+ PoPs, our patented algorithm achieves over a 95% cache-hit ratio. Optimized for object delivery: Our global network is designed with unique strategies for the fast and high-quality delivery of dynamic content, as well as static objects. As sites get heavier with more video, capacity requirements must keep up. Businesses that can’t cut it will be edged out. Content owners and broadcasters of tomorrow leveraging a faster global video delivery network will be able to move ahead in building brand awareness and preference around the world. Faster load times: 4,000+ interconnects deployed across 58 countries and 6 continents mean your content is deployed closer to users at the edge, so they receive it faster and more reliably with better quality, regardless of device or location. High-quality video: Reduced buffering and higher bitrates ensure delivery of the highest-quality experiences. Anycast routing and load balancing algorithms expedite connections to our servers, allowing higher quality video chunks to be delivered to your viewers – fast. Higher availability: At 71+ Tbps, our global network can handle millions of concurrent viewers while delivering fast video startups, low latency, and broadcast-quality that builds user satisfaction and loyalty. Better performance: AI-powered traffic shaping helps us determine capacity requirements and better manage traffic conditions, ensuring high availability at all time for users around the world. Superior offload efficiency: Linear and horizontal scaling with edge cloud clusters and proprietary L7 load balancing allow for far greater scalability. Hundreds of servers become one giant computing infrastructure within a PoP, saving resources and delivering better response times. Our platform enables broadcasters and content owners to connect with viewers on the world’s largest streaming network – a network designed for the unique demands of media, to ensure the best-viewing experiences regardless of where your audiences are in the world. Start delivering quality viewing experiences on a global scale. Schedule a meeting with us at NAB to get started.